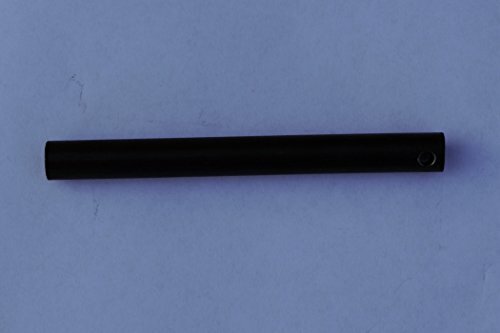 Drilled 5 inch long and 1/2 inch diameter "inferno" ferrocerium rod/firesteel/ferro rod/mischmetal rod. Strike this firesteel with a 90 degree edge piece of steel, your favorite striker or the back of your knife and watch hot sparks fly. The sparks are 3,000 degrees F. Aim the sparks at your favorite tinder and it will catch fire, Cotton balls,dry grass,dryer lint or your favorite tinder, experiment with different tinder and striker to get the best results. The drilled hole can be used to better secure your custom made handle. The drilled hole can be used for a lanyard or keyring. Attack a piece of paracord and wear your firesteel around your neck. Heavy duty, more surface to scrape off material for better sparks. If you have any questions about this product by World of Fire., contact us by completing and submitting the form below. If you are looking for a specif part number, please include it with your message.